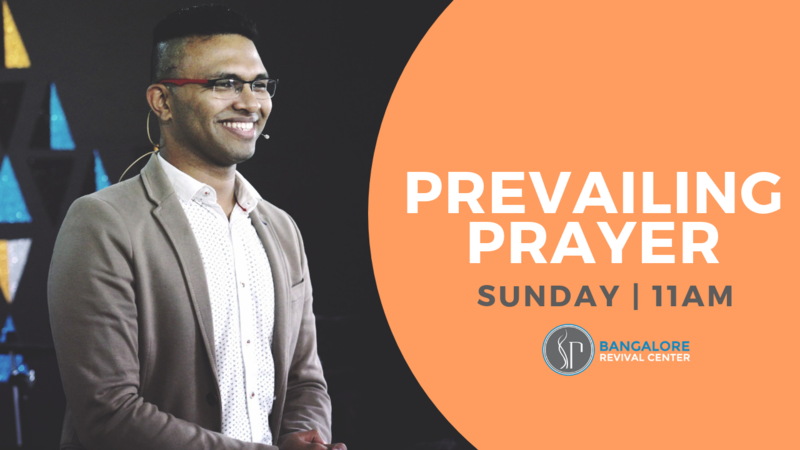 In today’s podcast, Pastor Priji and Pastor Hari Rao discuss about the lessons from the life of Rev. Billy Graham and the prophetic significance of his death. Pastor Priji: The Bible talks about great men of faith, in Hebrews 11. If the Bible had to be written today, think Dr. Billy Graham would definitely be on it. Pastor Hari: Absolutely. It is important to understand the breath of what this man was used by God to impact not just one generation but multiple generations. He was relatable to the everyday man and woman, to the rich, poor, celebrities, to ministers, to mayors and even presidents. Infact some of the Presidents refer to him as mentor or friend. When you look at the impact this man has had, it has to be God given. When the news broke about his death, almost the whole world came to a standstill, irrespective of what happened in the world, they were talking about Billy Graham’s death. It just shows his legacy in this world. Pastor Priji: Infact, he got saved when he was a young man, and that was a blessing that he had his entire life to serve God. It was in a gospel meeting itself where he got saved and though he grew up in a christian family, none of it made as much as sense as it started in that particular day. I think so many times as believers and as people who go to church, follow God, we think that once we are saved, that’s it, we are on our way to Heaven, we don’t sense that responsibility that we have about other people who don’t experience the same privilege that we have. I think that’s one reason why he was able to tap into the call of God over his life. He saw that it’s not just about me getting saved or just about me but also so many others and their lives. Pastor Hari: I think in many ways his life was just about one thing. It shows what God can do through ones life if you are single minded and have laser kind of focus on what God has called us to do. Married and dedicated to one woman, dedicated to one message, dedicated to one ministry, was not trying to be everything, he did one thing and he did it really well and that was preach the gospel of Jesus. Pastor Priji: I don’t think that anyone in our generation has preached to as many people, in terms of numbers, as he has. Pastor Hari: Absolutely. 250 million people in person. That’s apart from the impact he’s had through television, social media etc. and he has been in the age where television evangelists were criticized, where news reporters would make fun of, the number of scandals and celebrated features that made headlines during the 80’s and 90’s, it was a scary time to be a Christian leader, a Pastor or Evangelist, because every second day there was someone making news for all the wrong reason. To be in a generation of that kind and to live a life that is exemplary, to have a ministry that is untouched by scandal, untouched by the world’s culture, it’s just brilliant. It’s almost like “is that even possible?”. Pastor Priji: In fact, I remember reading about this in an article, someone in the news asked him about if he has heard about this scandal, that scandal, those scandals etc. and why is all this happening? 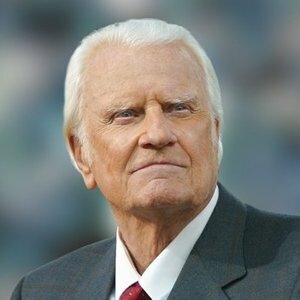 Billy Graham in his amazing metaphoric way responded that 100’s of planes take off everyday but none of them make the news, only the one that crashes makes the news. He was trying to say that for every scandal, or negative, I can show you that there are many more people who have been standing faithfully for God. Pastor Hari: I think his charm and wit were so unparalleled, at the same time he was not a prideful man nor arrogant. He was sharp, spot on, great sense of humor and very laughable. I remember a story about him where there were these people who wanted to frame him, and he just finished this meeting somewhere and was about to walk into his hotel room, when the Holy Spirit stopped him and said ‘ don’t go in ‘, he was surprised by what the Holy Spirit said. He had this one person who traveled with him everywhere and asked him to go inside the room and check if everything was okay and apparently there was a photographer & a lady who was dressed inappropriately. They wanted to catch a photo of Billy Graham and the lady in the same shot, to tarnish his name and reputation. I was amazed how the Holy Spirit knew what was happening and God was protecting his son. I was also amazed by the fact that he was sensitive after a big crusade to hear the voice of God and obey at the last moment of not entering the room. Pastor Priji: Some of the reasons where he did get criticized a lot where he was called sexist or all these names. In fact he once invited Martin Luther King Jr. to come preach with him when he was in New York and whenever he would go down to the south area where there was racial discrimination, he was one of those preachers who decided to break that racial segregation where white people would sit on one side and blacks on other side. He said ‘this isn’t going to happen in my crusades’. This was highly unpopular and he got a lot of criticism for it. Pastor Hari: America needs more leaders like him who speak for equality and justice. Thank God for people like him who understand what’s right and wrong and took a stand. He practiced what was right and stood up for it. Pastor Priji: I remember reading about this one newspaper that wrote that Billy Graham is manipulating people. Billy Graham used to sing this song ‘ Just as I am‘ at crusades, which was the altar call song. The newspaper wrote ‘he is emotionally manipulating people, because it’s a very melodious songs and that’s why people used to come up in numbers ‘. So Billy Graham decided for the next couple of days, no more singing, just make the altar call and wait for people to come up. So the reporters got very excited that Billy Graham responded to what they wrote about him. But for the next couple of weeks, more number of people started coming to Jesus and the same newspaper reporters wrote that ‘the silence is deafening, please bring back the song, we really want the song back ‘. That’s how he managed it, he did not ignore the critics completely, but if there is any reality in it, he was willing to stand by and give a picture of his side of the story. Pastor Hari: It’s also a true testament to the fact that the Gospel is enough. If somebody would preach the word of God, the undiluted truth of God’s word, the gospel, according to the way that the scripture says, it’s powerful. Pastor Priji: Pastor Hari, what are the things that you’ve learned from his life and teachings ? What was the one thing that inspired you the greatest about Billy Graham ? Pastor Hari: One thing is that, I pray that God gives me the grace to finish, the way Billy Graham did. One thing is that it’s not how you start but how you finish. One thing is that, when Billy Graham turned 75, the newspapers said ‘Billy Graham turned 75, with his integrity still intact ‘. That’s incredible, to run the race and to finish it well. That’s one thing I want, to finish well, inspite of the struggle in our lives. Second thing is that, I love how he was dedicated to the primary cause of the kingdom that is ‘saving of souls ‘. That really stirs my spirit, that eventually it’s about helping people. If we can keep putting the focus on that, the ones that have not heard the love of Jesus, we can reach them and bring them to the Lord and I think those 2 things would be the 2 primary things I would want to take away from his life. It’s important that we celebrate the life of Billy Graham, he was a great ideal and man of God and we will miss him, even though we’ve never met him in person, but it just goes to show what kind of impact a man dedicated to the life of God can have on generations. Pastor Priji: Absolutely. He has been a great role model for Pastors, for Evangelists, for teachers of God’s word and been a great leader, not just in the church but also around the world.